My Story: On June 14, 2017, at approximately 3:51 am, I was found unresponsive, while seated in the driver’s seat of my unmarked FWPD vehicle. The responding Officer knocked on the window of the car until I woke up and rolled the window down. The Officer asked was I okay and what was I doing in that area so late. I told the Officer that was heading to KREAGER PARK, and the Officer immediately asked me; “what for?” I informed the Officer that I was heading to the park to kill myself. Did I fail to mention that I was traveling with my loaded .357 Smith & Wesson revolver, which was openly placed on my passenger seat; this was the revolver, I intended to use to end my life. Subsequently, I was told to exit the vehicle and soon after and advised to submit to a portable breath test (PBT), which I complied. I was asked if I had been drinking, I responded yes, and that I had a half glass of vodka to accelerate the effects of the painkillers/muscle relaxers I had taken to assist with my death. I also stated that I had received a total of four (4) injections from my family doctor (3 for back spasms and 1 for my diabetes) earlier that morning and had also consumed many prescribed muscle relaxers. Furthermore, I had lifted my shirt, to displayed bandages of the four (4) injections (3 for the pain in the back) and one (1) for diabetes, that I had received. Nonetheless, I admitted the consumption of several prescription pills and repletely stated that I wanted to end my life. Now, if you ask yourself; if I wanted to die at that time; the answer is a resounding, yes! As I repeatedly told the officers, “I want to die! I want, to kill myself.” I have never thought of taking my life before this incident. However, I was depressed due to discovering information I had received concerning my 18-year-old daughter who suffers from Bipolar and was recently arrested (at my request, to scare her straight); however, I later discovered that she had been the victim of sexual assault (a week prior). According to my Clinical Psychologist, the prescribed muscle relaxers that I consumed (BACLOFEN 20 mg) has been known to cause Bipolar reactions including suicidal thoughts. At this point and time, I should have been taken to a hospital for a psychiatric evaluation, which is the FWPD protocol. Instead, the Officers informed FWPD-DISPATCH to cancel the ambulance heading to my location; stating that their assistance, was not needed. At the scene, were several Officers, Supervisors (3), a Lieutenant and Deputy Chief. These individuals neglected to secure my mental well-being. Instead, I was arrested and placed under suicide watch in solitary confinement; rather than obtaining me the medical attention needed (these acts ignored, written department policy/protocol). Note: The FWPD has a Crisis Intervention Team (CIT); of which I was a member of, the Program was implemented to provide an immediate response by trained law enforcement Officers to deal with persons who are experiencing a mental health crisis. Former Indiana Governor Mike Pence, signed a law in 2015 requiring the Indiana Law Enforcement Academy to instruct trainees regarding CIT protocol. According to the FWPD website: “The goal of the program is to divert persons with a mental illness from incarceration and to treat the mental illness as the priority.” According to the FWPD CRISIS INTERVENTION TEAM POLICY #PD01-0125: If a misdemeanor crime has been committed by the individual, the mental health detention will occur, and criminal charges will not be filed. Criminal charges of any nature cannot be filed if the person has been held on a 24-hour or 72-hour hold (Obtained from the FWPD Intra-net). Situation cont. : During my incarceration, I was not allowed to make any phone calls to my family, nor did either agency; the FWPD or the ALLEN COUNTY JAIL (ACJ) did not bother to contact my family to inform them of the events, which had transpired. In fact, my wife was not notified until later that morning, that I had been arrested and would be transported to PARKVIEW BEHAVIORAL HOSPITAL (PBH); where I remained for five (5) days, under a court-ordered involuntary commitment. Lingering Questions: While housed at PBH under the 72-hour court-ordered hold; the FWPD arrived at my home and removed all my weapons, which were voluntarily relinquished to them by my wife. I am stating these facts, merely to point out that if the FWPD went to such great lengths to obtain a 72-hour court-ordered mental hold, and collect all my weapons; then why didn’t I receive adequate and immediate physical and psychiatric care? As stated above, this incident took place in June 2017. However, it was in November 2017 when I could read any of the Officers reports, to review the justifications for their actions; however, no matter how it was worded, there can be no valid explanation or rationalize as to why they delayed the care that was desperately needed? The Unjustified Conclusion: To date, all criminal proceedings are final; there are no more court dates or alcohol classes. Thus, I have satisfied all the requirements regarding my sentencing. While I am no longer suspended from the FWPD (30-day suspension), I am on “admirative sick leave.” Because of this incident; I have been clinically diagnosed by Psychiatrists, Psychologists, and Therapists with the following: PTSD Anxiety Due to the clinical diagnoses, I was removed from the Department’s Hostage Negotiation Team What Happens Now: I know what happened to me, could happen to anyone; yes, that is the question. However, more importantly, the lingering question of what happens now is still at the forefront of “mental health” preparedness. Whereas I was at the top of “my game” professionally and personally, but this - no my situation (sometimes you must own, what you have earned) had me down so far, that I thought it was impossible to get-back-up; but I overcame. I once was angry, withdrawn, and wanted to blame others/the administration for what happened to me; but this is no blame game, it's about lives in need of mental wellness. However, time and a team of mental health professionals allowed me the once again see the man God intended me to be. The Plan Going-forwarded: To work tirelessly to “make my mess my message.” By helping to establish laws or form a platform to the protect/acknowledge the “rights” of those in “in need of psychiatric attention.” Then and only then will “change” have a chance to make a mark in our society. To further educate Law Enforcement and Mental Health Agencies, to form workshops, inspire forms, and engage in speaking groups. Why Question: Law Enforcement’s inability to safeguard the mental wellbeing of one of their own. Career Background: As a twenty-plus years Law Enforcement veteran, I have tirelessly sustained the day-to-day operations as an honorable officer, with the Fort Wayne Police Department (FWPD); whereas during those twenty-plus years, I have served my community as a Homicide Detective and Hostage Negotiator, Profiler. Also, I formally served my country as a Federal Agent with the Department of Homeland Security. As a veteran Law Enforcement Officer, I believe that education is the cornerstone of success in any profession. Therefore, I presently hold a Bachelor’s Degree in Criminal Psychology, a Master’s Degree in Forensic Psychology, and currently, I am a Doctoral Candidate, working towards my Ph.D., in Forensic Psychology. I would be remiss not to mention; I have also served as an adjunct professor. Why the Inquiry: Because of situations that repletely happen and ultimately violate the rights of citizens that need medical/psychiatric attention. That citizen was me, and the case surrounding what I believe violated my rights; if it could happen to me, it could happen to anyone. The inquiry is a necessary form of investigating efforts needed to establish a platform; which will serve to protect the rights of all who are marginalized, by the words “in need of psychiatric attention.” SPEECH/LECTURE OUTLINE Stacey’s lecture will give hope and inspiration as he recounts his recovery, and struggle with mental illness. He openly reveals his anxiety, post-traumatic stress disorder (PTSD) and his passion for psychology along with his care for the Consumer. Stacey shares his story of, attempted suicide, trauma, shame, involuntary commitment and his road to recovery. 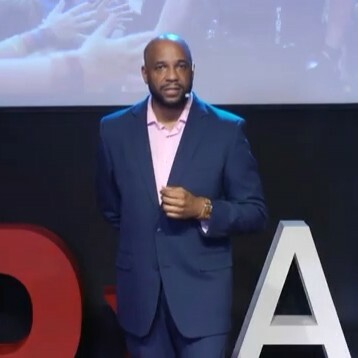 With the use of Rapid Response Therapy and Self-Stress Management skills, his speech/lecture will reinforce to the audience the key measures necessary to shape and uphold a connected culture while inspiring the mental health community devoted to the effort of constructing better lives for those affected by mental illness. To many individuals, their conflict with stress may seem futile. Through humor, sensitivity, and enlightenment, Stacey’s lecture will inspire the attendees to think creatively and channel the negative energy of: “The bills keep coming.” “I do not have enough time in the day.” “the demanding obligations of family and work never seem to end.” Key Takeaways: Overall Alertness- Regarding the Onset to Stress Stress at one’s place of employment Mentally Supporting Yourself Recognize the best method in a tense setting Stacey’s way of HUMOR and Affection titled the “DR. DRE METHOD.” Attendees will learn to: D. DISCOVER the cause of their Stress R. RECOGNIZE that Stress is affecting their lives D. learn to DODGE future Stress elements R. REGAIN self-esteem E. and EQUALIZE the threat of Stress reappearance Additional Takeaways: The attendees will ascertain what lifestyle factors can be modified to decrease stress Utilize certain life habits to reduce stress Practices to increase physical and environmental entertainment How to use their everyday skills to deal with stressful experiences How to document, recognize indicators of stress and develop a strategy to eliminate or reduce Self-Awareness of ones’ control Life set-skills for: Adapting: Overcoming obstacles and Achieving one's goals Success: by restoring/keeping a positive mindset Motivate: by aspiring to inspire through strength and leadership skills Stacey’s lecture will emphasize the managing your Stress is all about securing control. Control of your judgments, existence, reactions, and the technique we use to cope with our difficulties. Attendees will ascertain the no matter how taxing life may appear; there are platforms we and utilize to release the burden and reclaim control. Stacey’s lecture/speech will display to the audience that when individuals are in crisis, the usage of Language awareness is reassuring and practical. During Stacey’s situation, he felt as if no one heard his cry for help. Stacey will share with the audience his Hostage Negotiator’s training regarding Active Listening Skills (ALS). The audience will see first-hand, by way of audience participation how these skills can be used in situations when aiding a Consumer. Stacey’s lecture will consist of his candid and emotional story regarding his suicide attempt, which leads to an arrest, attempted hanging in his jail cell, and a 72-hour court-ordered commitment, which lasted 5-days. Followed by a concise Q&A from selected audiences members wanting to inquire further detail of his story.